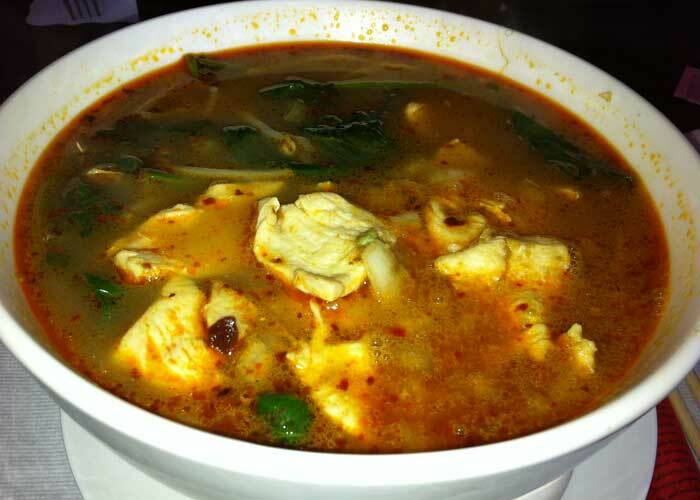 Urban Thai has been located in the Shops at Dos Lagos for years, but my wife and I didn’t try it for the first time until about a few weeks ago. I imagine that a lot of people miss this place since it is located between two closed businesses in a part of the center that doesn’t seem to get much traffic. I wasn’t even sure it was open when we drove up the first time. 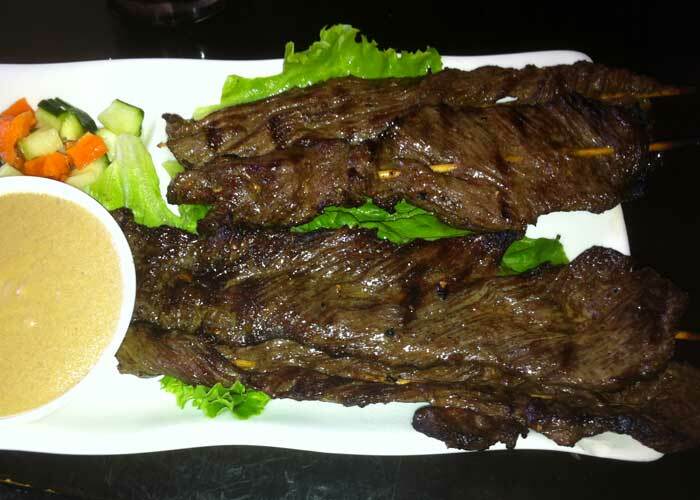 We ordered the beef satay as an appetizer on our first visit, and followed up with the chicken satay on our second visit. Both were tender and tasty. 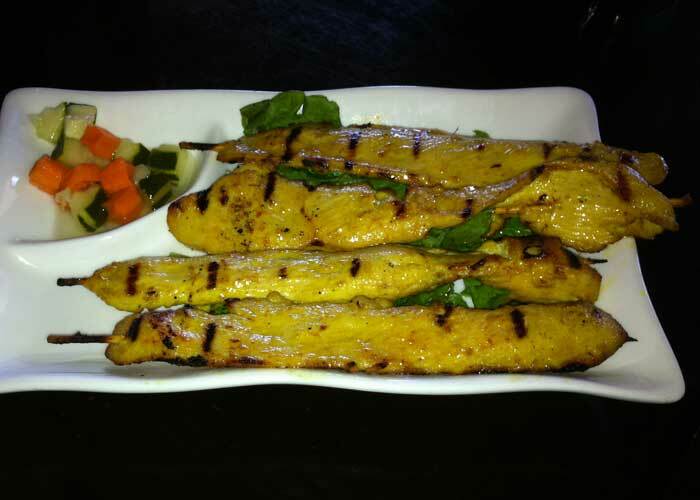 Urban Thai has very reasonable lunch specials, which are served with soup, rice, salad and an entree. 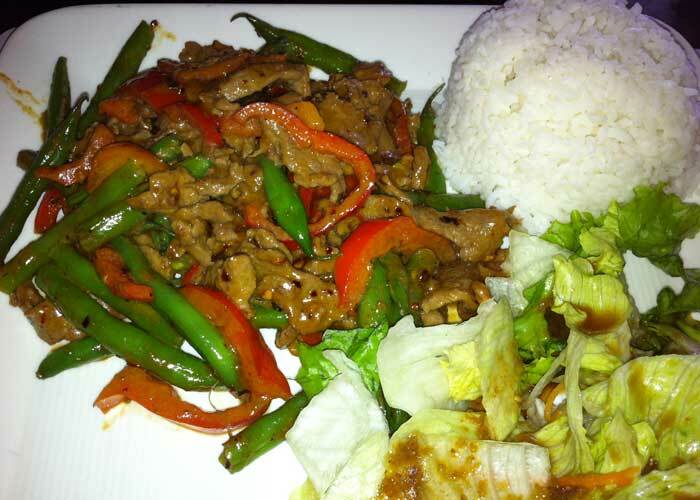 On both visits, I ordered the Fire Beef, which is a slightly spicy mixture of beef, green beans and red peppers. Good stuff. My wife tried the Chicken Curry with green (mild) curry on our first visit, but decided to go with the Spicy Chicken Ramen on our second visit. She really liked the ramen. I am not in a position to compare this place to other Thai food restaurants because this is only the second one I have ever visited. What I can say is that I enjoy the food and plan to go back. I hope that more people find this place and give it a try. 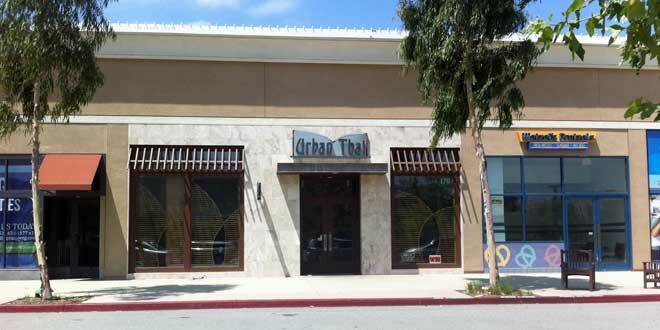 There is also an Urban Thai in Aliso Viejo.